I am about to embark on a journey that has been a long time coming. 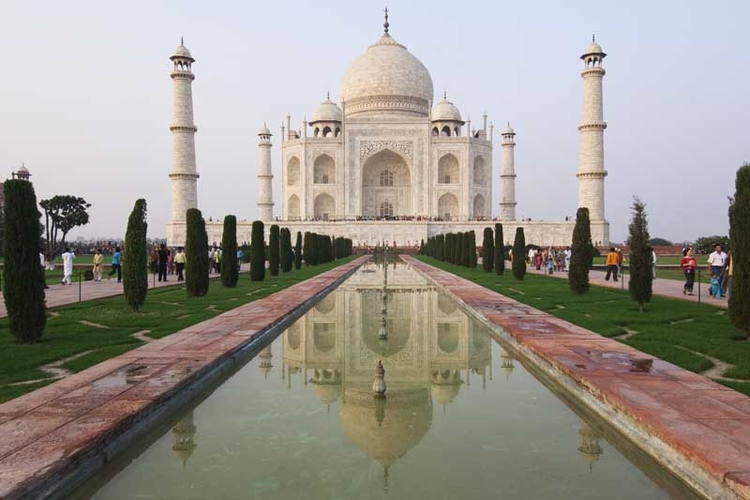 I have always wanted to go to India. I once had a chance, but finances made it impossible. I’m going to see the culture, eat the food, meet the people, go to Bollywood, hopefully to see a tiger, study yoga with my Swami and do some charity work. Although I have studied intensively yoga and yoga therapy I have never had the opportunity to study under a Swami. I have always wanted this opportunity as I have some questions to ask the Swami. My Swami’s name is Prakash which means bright light and one who has the ability to understand people and to merge conflicting viewpoints into creative harmony. My name, Lynn, means pool of water; something deep and yet flowing. He has spent many years alone in the Himalayas and I am coming to India from Los Angeles. The two views of the world could not be different. So I am hoping to merge our points of view into a harmonious flowing thread of understanding. One of my questions is why in a world of such much does so many have so little. I am sure he will tell me it is karma. This state of the world (the rich and the poor) is so that those with so much have the opportunity to accumulate punya (merits- good deeds) or endure the burden of greed. Either way the universe does have a perfect accounting system. I believe in karma. In fact I have written a book on karma yoga. The doctrine of Karma states that nothing comes instantaneously. Everything is the product of a long learning process. One of the lessons of karma is that we are all subjected to time gates. In karma yoga a time gate is a passageway or opening that changes your life. There are prosperous time gates and destructive time gates. It is the level of our wisdom that determines which gate we will walk through. Most of the time, due to our ignorance and unawareness, we walk right past the time gates that are open to us. But when we do walk through one it changes our life. It has taken me a long time to discover this time gate I have now walked into. I guess I had a lot to learn before I could open this door and take this journey. When the time is right some doors close and other doors open. My second question -What is the meaning of Yoga? This is how I would answer this. I am looking forward to the Swami’s answer. It’s not about the poses, the clothes, or the notoriety. It’s about the journey. Yoga is a way of life. It is about living your life as a yogi- one who adheres to the yamas and the niyamas and practices every day. Every day the world hands you obstacles to test your ability to stay balanced, strong and flexible and of course find peace and serenity amongst the insanity of life. It means to search out the beauty. To observe the nature of life and work so as to live in harmony with all that is around you and within you. Observe things accurately and then act only in ways that serve the highest good. Never act in ways you will come to regret. I have also come to realize that the secret to finding peace and serenity is to learn to transcend rather than remain locked in the continual spiral of analyzing, questioning and agonizing. It is what it is. Accept all of life with a sense of balance, stay flexible to the constant changes and remain strong in the face of challenges. Observe and then let go and transcend. It also means to give and to share. The essence of yoga is found in the noble obligation. If more comes into your life than you need share and give so that you might be able to help others. Giving is not just material wealth. It also means to give a helping hand, a hug or a moment of your time to ease another’s burden. You do not need to venture off to an Ashram to find yourself, or the answers to life, or to find peace and serenity. You can find it in the midst of Los Angeles. It is not a destination or a place. It is a state of being. Life requires that we learn to adapt and adjust to life’s situation. Otherwise we risk stress, illness and even destruction. When you move into a yoga pose you must adjust, adapt and finally settle into it. If you struggle you will lose your balance and this is most likely because you have given away your flexibility, your focus and your strength. Stress and other mental distractions may also be involved. Often when we encounter stress we struggle. So we use the yoga poses as a means of learning how to deal with life’s situation. Each pose has something to teach you. For example if you lose your balance in tree most likely you let go of your ability to be flexible and sway like a tree while holding firm to your grounding. Let’s start with quieting the mind and then begin to explore and observe struggle, adaptation, adjustment and surrender. If you find yourself struggling with the situations of life, you will lose your balance and this is most likely because you have given away your power which is your ability to be flexible while maintaining your strength. As you step into life’s situations try to take a moment to step back and observe. Find your balance, flexibility and strength and then adapt and adjust to the situation with compassion and understanding and not judgement. The situation may not change, but your approach to it will. 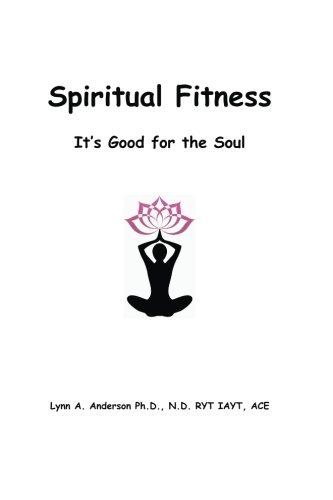 Spiritual fitness just like physical fitness requires constant work. You must get up every day and participate. It is more about the journey than the final destination. Spiritual fitness is about experiencing the moments rather than always running against time. The moments then become a sense of elation. We become empowered by the moments. This does not mean that obstacles will never present themselves or that we will never have to endure challenges. Once on the path of spiritual enlightenment the challenges of life will be more easily met and the obstacles will no longer appear too large. However, we must continue to practice. An athlete doesn’t stop running because he won the race. He continues to practice so he will be fit to meet the next challenge. 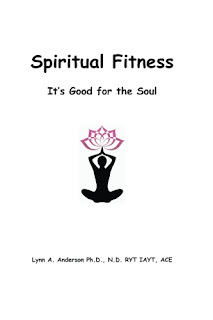 This is the way it is with spiritual fitness. So although we are here to work our body, remember to work at easing your mind and filling your soul with the light of spiritual energy. This is our practice today – to observe the moments and enjoy the fun. Remember to slow down and appreciate the moments. There is no use in running against time. 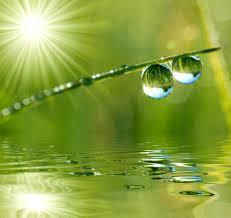 Spiritual fitness is about being empowered by the moments even if the moments are challenging. You will need to practice balance, flexibility and strength every day. Then use your physical and mental balance, flexibility and strength to make the world a better place and you will discover spiritual fitness. Everything in the universe exists because of polarity or the interaction of opposites. The bonding and balancing force between and within all forms of energy and matter is the polarity of positive and negative energy. This is true for atoms, the earth, the stars and all of creation. This is what holds the gross physical body and the aura together. As the aura is affected by life so does the energy of the aura affect the body? Humans are capable of perceiving the movement of energy around them and through their body which can actually be measured. Examples would be body temperature and brain waves. But most humans don’t realize that they are comprised of two basic bodies, the gross physical body and the aura. The aura is like a high energy blue print that surrounds physical matter. We can best understand this by observing other people. We call this getting a “vibe” when in fact it is the energy of the aura. An example would be stress. Even if a person is smiling we can usually pick up on something about their energy that is out of sorts. The basic difference between the west and yoga is that in the west we are addicted to experiences. Yoga doesn’t give value to experiences it simply seeks to transcend them. Yoga works much like naturopathy in that it believes that we must address energy on all levels body, mind and soul. A good analogy for how emotions affect the aura and then the health of the body would be to look at the ocean. The best place to view the ocean is from a mountain or an airplane and not from the water itself. To look at the psychological aspect of t the mind from within the mind is like looking at the ocean from under the water. The view is limited and if we open our mouths to speak water will enter and we will choke and drown. Yoga does not deny psychological problems, but rather emphasizes transcending rather than analyzing. 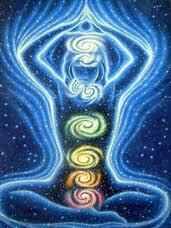 The health of your body is affected by the energy of your aura. The aura is affected by your thoughts and the emotions you place onto them. Think of the aura as an energy field of protection. Become aware of how your emotions affect your energy fields. Learn to observe, let go and find peace and serenity. The best advice I can give when it comes to your health, body, mind and soul is to be aware of the dynamic forces of energy, observe yourself without judgment, recognize your own shortcomings and begin to make the appropriate corrections that will bring balance to the energy of the body, the mind and the soul.